No reality is, we don't trust the company as far as we can throw them. And to top it all off, I can literally get my Avatar done, with some appliers and maybe an outfit or two with 5k. To spend 5k on a body, that A has no Dev Kit, or creators to make appliers and clothes with. And B, when it costs more than the average body, does in SL. Why would we spend 20 bucks on it? Look, 5K is not really a competitive price either. They aren't really gonna be competition in the market, at that price. It's great that you don't care about their reputation and past transgressions. Most of us do. Also the last point, I think you will find that most people on the grid are open to new bodies. But if the price tag is right. It's common sense, that price tag will ultimately give the other body companies, more money. To end this whole ramble, they may have a better product in, but do they have the better price? Heh .... As a retired chemist ( the field where the cis- / trans- notation came from ), I'll have to admit that I was amused to see how the terms started to be used in a non-chemical context a while back. It all makes great sense, but probably not obvious to anyone outside of chemistry. House elves, of course, are another matter. We can thank Harry Potter for that. My SL budget comes out of our entertainment budget and is more than $20. Even so, I will never spend a cent on this body due to the reputation, regardless of how good it might look. Reputation matters to a lot of people. How is this different from the Landscapers that have been around since the dawn of SL? They buy a lot of landscaping products as well as houses and outdoors furniture, sometimes indoors furniture and decor as well and they use that to put it on the client's land to landscape their sim. This is just like the mini version of the landscaping business. Even softer yet, an orb can be scripted to llEjectFromLand instead of llTeleportAgentHome, which is a kinder, gentler punishment. Of course, if you are given adequate warning time, you ought to be able to leave a parcel the size of a Linden Home before the orb does anything to you. We'll just have to see. Because not everyone has that kind of money to spend on a product that has zero customer service with the brand walking away again being likely? Or simply because not everyone who uses SL has 20 bucks to spend on a mesh body, and no, those people don't spend money on expensive coffee's either. If you're well enough off to take that risk, you do you, but don't think that's the norm for other residents. Actually, it's Satori that is also known as 'The Japanese Continent'. Heterocera is 'The Northern Continent' or more commonly 'The Atoll'. I got two slightly unusual ones last night while dancing. The first person opened straight-out with a question: "what does cis-gendered mean"? The second person offered his services as a house elf. I'm not sure which of these two worries me most about the current state of humanity. 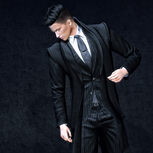 Why is money so highly regarded in Second Life? That's 20 bucks. You probably spend that on Starbucks in 2 days on your way to the train. Let's be real. I'm not trying to convince you to buy the body. I'm just trying to make you appreciate competition among creators. What's the point of being emotionally attached to a virtual product to a point where you refuse to be open to new ones? And I know, TMP don't have the best reputation, I have too been stranded in their anxiety-awakening sim with no support in the past, but if they have a product that is better than what I'm currently sitting with, then I couldn't care less for their reputation. That's just the reality. I see, I thought your statement was a general one about mesh body diversity, my bad. It's the same diversity as the 234234 different mesh heads available now. Why would people embrace the diversity there but not for the mesh bodies? They really missed out on a golden opportunity for some headline-grabbing publicity. I'd keep working on your sea survival skills if I were you! Reggie Watts performs a FREE live show - TODAY in Sansar! I like Reggie but, as a Mac user, buying a PC just to see him is a li'l rich. I do look forward to hearing how the show goes. Good luck, LL! Region crossings are not fixed. I tried going from Bellasaria to Jeoghot in a speedboat, which I've been able to do before. I got as far as crossing from Nudibranch to Pearl Drop, just west of Jeoghot. Those are all new sims of open water. Boat disappeared. Stuck at bottom of ocean. Controls stuck. Avatar health "Stop avatar animations and revoke permissions" didn't get control back. A short teleport on the world map did. I have a swim HUD, so I tried swimming to a nearby island. A Coast Guard boat and helicopter went by, and I shouted to them, but they didn't reply. I tried swimming after the boat, and at every region crossing, there was a 10 second pause (exactly 10 seconds) and then I was forced to the bottom of the sea. The swim HUD would bring me back up. Kept swimming after the Coast Guard boat, but never caught up. I'd see the Coast Guard boat in the distance once in a while. They didn't seem to make it all the way to Bellasaria. They disappeared south of the new continent, and later showed up at the new airstrip in Coral Waters. Swam all the way back to the southern lighthouse of Bellasaria. That took half an hour. Rezzed a boat at the new rez zone. Once in the boat, everything worked fine, and I boated back to my house and docked the boat. We're still at about 1-2 failures per hour. Worse for multiple passengers. Kudos to the residents who are working on building community spirit and involvement - the groups that have been created, the tour pictures that have been posted, the collections of LM's posted and sent out to the groups, etc. It is this type of thing I think that will be the most successful for building and maintaining a sense of community among residents.